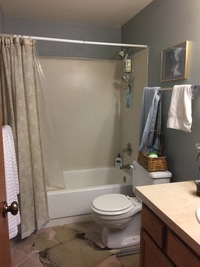 Standard Tub Shower Combo in this bath. 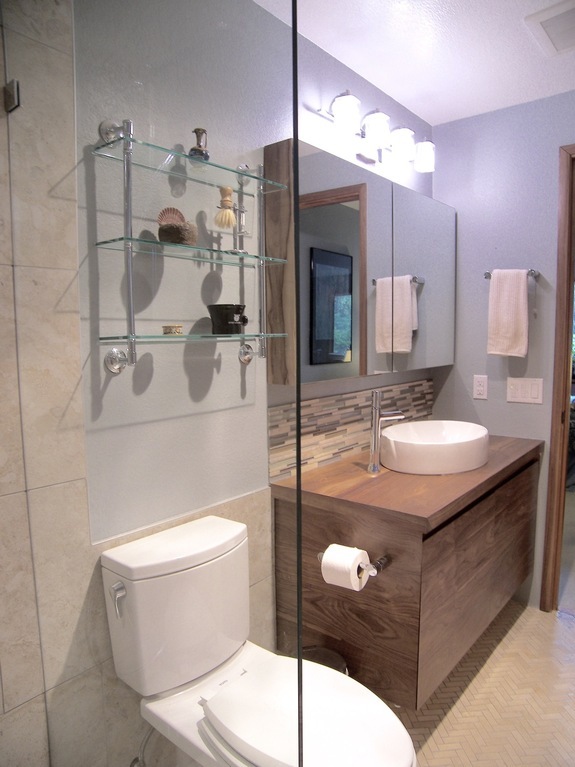 This is a great shot of the custom built vanity and medicine cabinet with mirror in walnut. 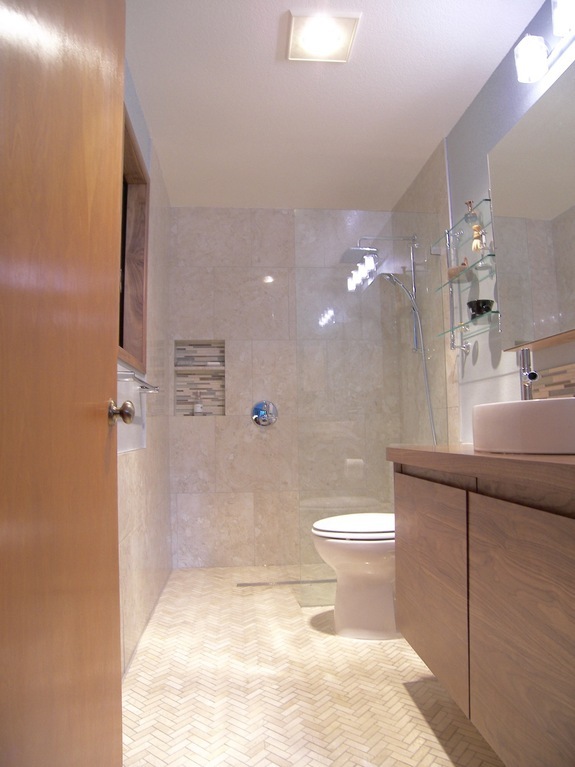 We opened up this bath and made it a walk in shower using mosaic floor tile to run right into the new shower area. 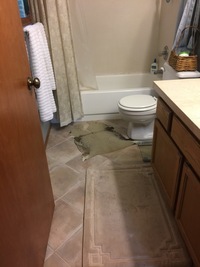 This change was great for the clients who plan to age in place in their home. 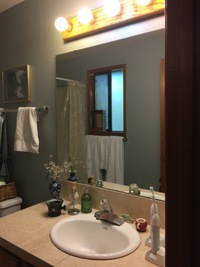 Lighting wasn't great in the old bath as well as a standard sink vanity that got a great reboot here. 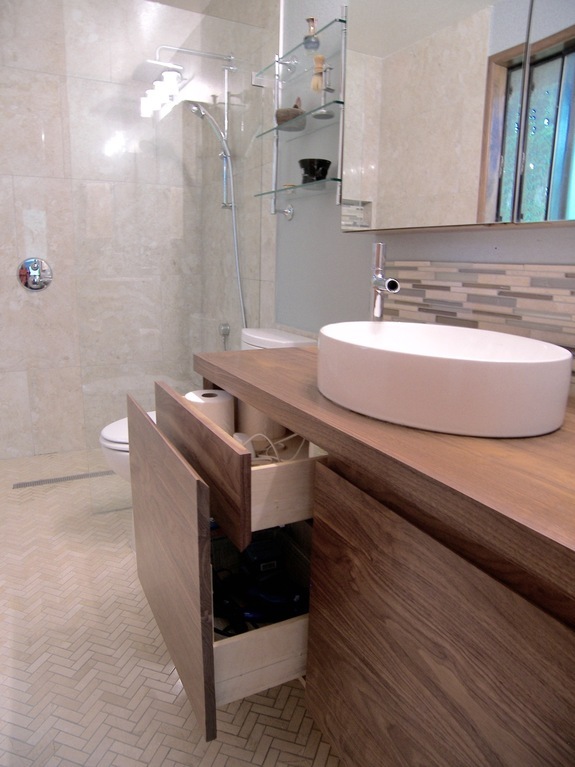 Another shot of the custom vanity with a hidden drawer and this also shows the mosaic flooring in the herringbone pattern. We also love the vessel sink from Kohler and the Kohler Toobi faucet. Another before shot showing the general layout. This shows the new shower area nicely and how it all just flows right in with only a partial glass shower panel.